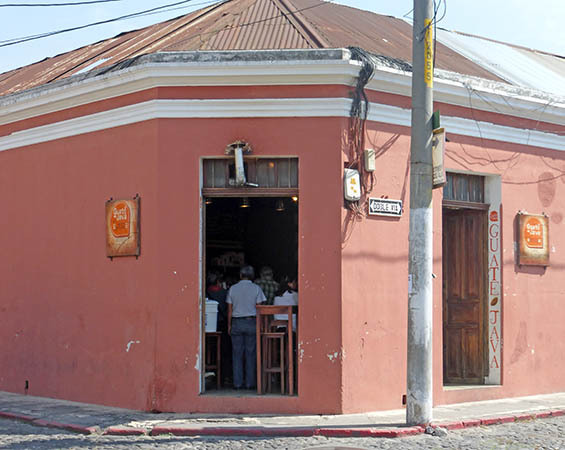 Here in Guatemala we are in prime coffee country and have so many cafes from which to choose to have a fresh cup of brew. Some shops serve breakfast, some serve the best French pastry ever, and some are just little cupboard sized rooms filled with tables, chairs, a roaster, a cappuccino machine and lively music. 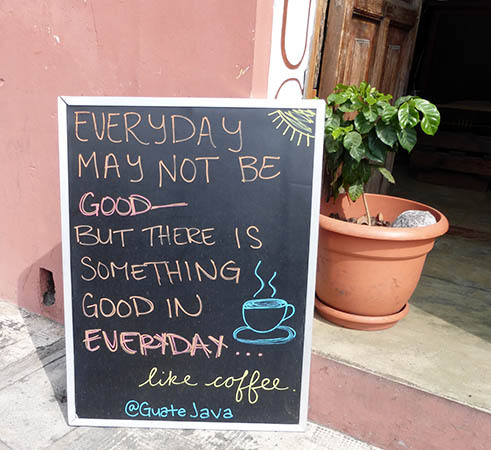 Guate Java is just such a place. 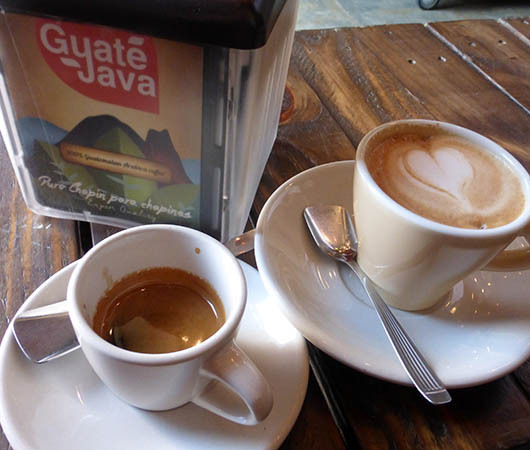 Located just around the corner from our hotel, Guate Java is another favorite hangout for coffee drinkers. They have their own roaster and roast their beans weekly which, for some, is a big draw. I always think it's great when hours are posted for everyone to see and one doesn't have to guess. Or worse, we're all ready to go have a cup of Joe only to find this is the day they are closed. What's even better is when a shop is open daily. 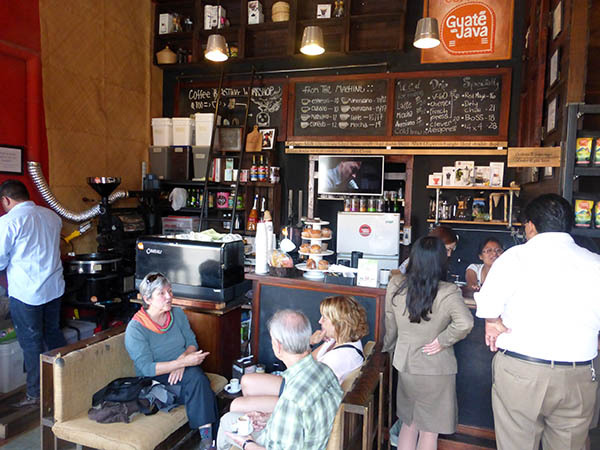 This roastery and coffee house is owned by Javier Villatoro. He has been in this location almost a year and sells his beans locally as well as overseas. Javier advertises that both Spanish and English are spoken by those behind the counter. Javier's roaster is on the left, there are bins of beans, a cappuccino machine, some fresh pastries being offered and a flat screen TV with entertainment and music, and then the counter at which you place your order. Bags of this week's roasted beans are on the shelves to the right. At the time of this writing, 10Quetzales is about $1.32USD. 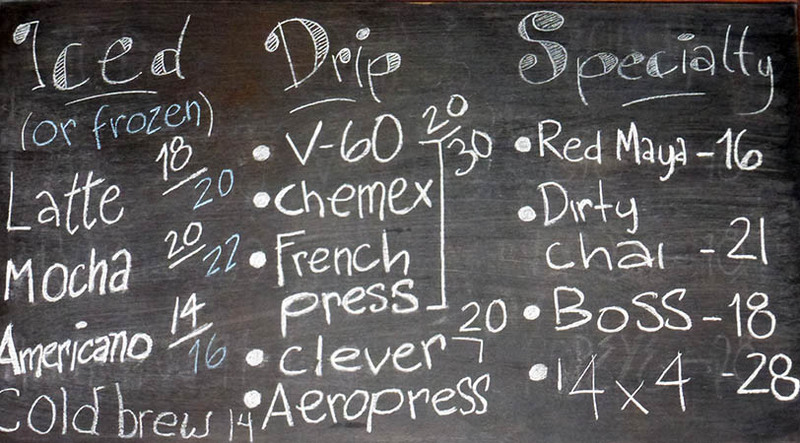 Mochas are $2.50USD. 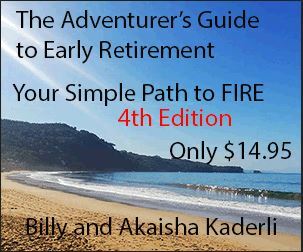 There are some interesting offerings listed here. I'm unclear what a Red Maya is and am very curious about the 4 x 4. I would imagine it would hit you like a ton of bricks, would that be two double espressos? A frozen Latte sounds delicious on a hot day. I guess we'll have to return and try out a couple of the new specials. 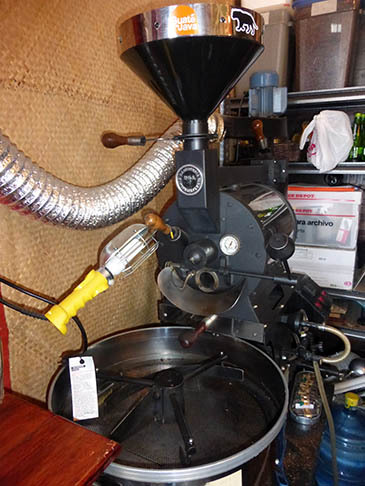 It is not uncommon to walk the streets of Antigua and catch the wafting aroma of coffee beans being roasted. There are so many boutique shops, and being in the heart of coffee country, people are quite knowledgeable about their beans, where they are grown, how they are roasted, and what sort of cup of hot or cold infusion they choose to drink. 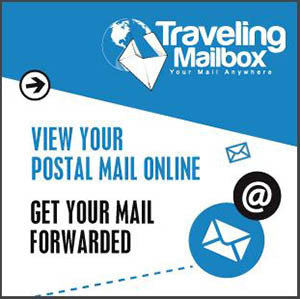 If you have a coffee shop in the States, you can ask Javier to send you some of his fresh roasted beans. Or, if you simply want some for your home use, he'll happily oblige. 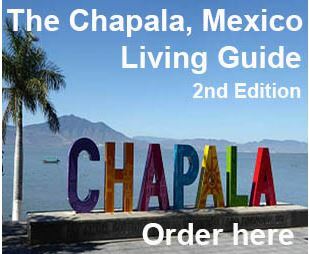 Guatemalan coffee is famous all over the world, and if you like this style of coffee, it can't be beat. 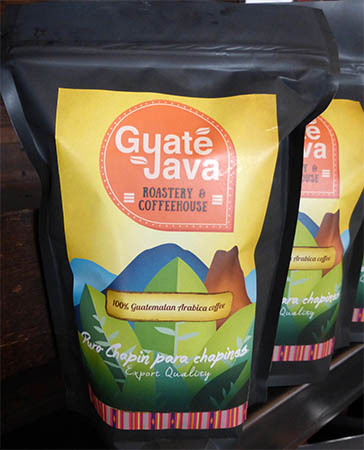 A friend or ours asked us to bring him some coffee from Guate Java back to Panajachel. He specified that he wanted the coffee roasted the current week of our visit. This coffee, purchased for 75Q (about $10USD) for 10 ounces was four days old. 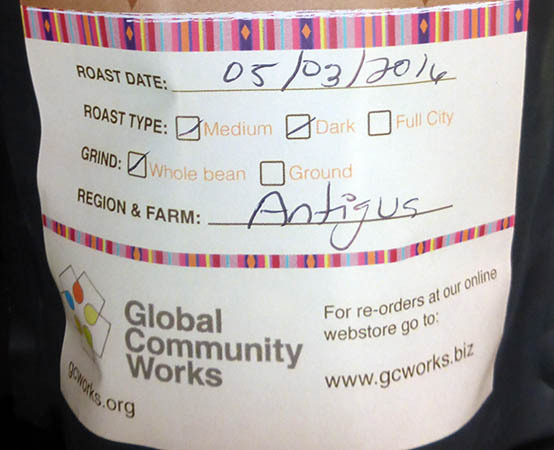 When we purchased this bag of freshly roasted beans, Javier treated us to one of his cappuccinos as a bonus. We returned the next day to try something different. The Cubano, also called espresso Cubano, is a shot of dark-roasted espresso brewed either directly onto sugar, or with the sweet granules mixed and melted with the grounds as they're extracted. The coffee is short, sweetened and packs a punch. The thick, foamy head that forms from the melted sugar and the espresso's aromatic crema gives way to a syrupy little jolt of rich, smoky liquid underneath. 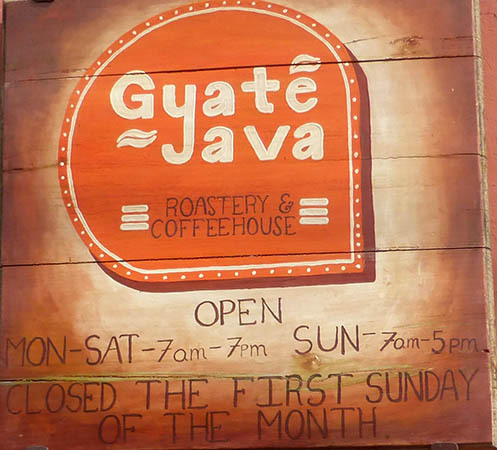 If you visit Antigua for a few days, spend some time at the different coffee shops around town. 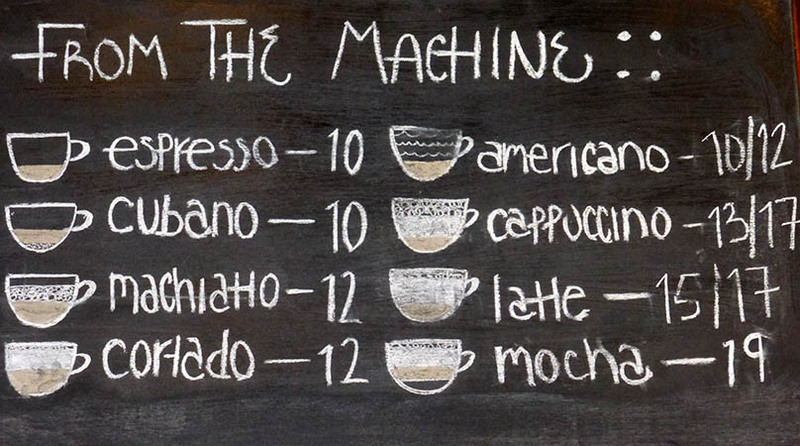 Each has their own atmosphere and with the excellent coffees offered, you can't lose.